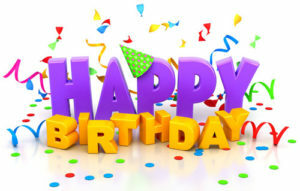 Celebrate Your Student’s Birthday on our Electronic Marquee! Please submit 48 hours prior your child’s birthday, if possible, or we cannot guarantee placement. Suggested Donation of $25 to San Ramon Elementary PTA. FOR THOSE WITH SUMMER BIRTHDAYS – we are happy to celebrate half birthdays or celebrate during the first and last months of school!